Plato speaks in the Republic of the process of education as a turning of the soul toward truth and away from the mere semblance of it. It isn’t that the student has no understanding. Whether they did or not is something about which ancient thinkers disagreed. 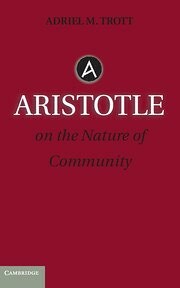 Aristotle thinks the common understanding has some value as a point of departure. At various points in his dialogues, Plato has Socrates suggest that the appearances of things deceive us when we take the appearance to fully disclose the reality of them. While Aristotle takes the initial way things appear before they are studied as a point of departure for knowledge, Plato is more skeptical of the role of appearances in producing our knowledge. But they tend to agree that the appearances of things and the everyday opinions people have about the world are not sufficient for knowledge. From this point of agreement, they maintain that a student must recognize that the appearance or opinion that she takes to be knowledge is not yet sufficiently grounded to be knowledge. Some motivation that involves a recognition of oneself as lacking in knowledge is a precondition for learning to take place.